On the first Friday of every month at DHR’s Richmond headquarters, tax credit staff can meet by appointment with applicants or their project representative from 9 a.m. to 12:15 p.m. Appointments are limited to 20 minutes so that staff may provide informal, non-binding guidance on specific historic rehabilitation treatment issues. These meetings are not intended to review an overall project. A formal, comprehensive review of a project occurs only after submission of the complete rehabilitation tax credit application to DHR. Appointments for a first Friday meeting can only be scheduled after an applicant has submitted an application and had a DHR staff reviewer assigned to the project. Then the appropriate tax credit staff member will be available to discuss specific treatment issues associated with a proposed project. We request, please, that no more than 2 or 3 project representatives attend a first Friday appointment. For general questions about the application process or other requirements of the historic rehabilitation tax credit program, additional DHR tax credit staff are available by appointment during first Fridays. Please contact Chris Novelli or at (804) 482-6097 to schedule an appointment, which is made on a first-come, first-served basis. All visitors to DHR’s headquarters and offices in Richmond are now required to provide a photo identity card (e.g. driver’s license, state employee badge, etc.) at the main desk, where all visitors are required to sign in. 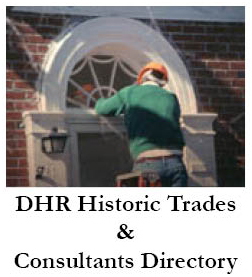 (Guidelines for Visitors to DHR). The preservation of historic buildings benefits communities and connects us to our heritage, enriching the quality of our lives in many tangible and intangible ways. Their preservation also provides demonstrable economic benefits. Through the federal and state rehabilitation tax credit programs, property owners are given substantial incentives for private investment in preservation, resulting in enormous advantages to the public. Both the federal and state tax credit programs are administered in Virginia through the Department of Historic Resources. State tax credits are available for owner-occupied, as well as income-producing buildings. If your property is income-producing, you may also be able to take advantage of federal tax credits. Additional information and assistance with tax-credit projects may be requested from DHR’s Richmond office. Contact Elizabeth Tune at (804) 482-6093 or Chris Novelli at (804) 482-6097. In January 2018 Virginia Commonwealth University’s L. Douglas Wilder School of Government and Public Affairs released this study detailing the positive economic impact and benefits of rehabilitation tax credits in Virginia. 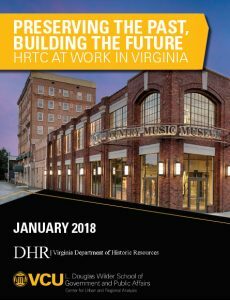 Virginia’s Historic Rehabilitation Tax Credit (HRTC) program has played an essential role in the preservation of thousands of historic properties since its inception in 1997. Between 1997 and 2017, the program issued $1.2 billion in tax credits, reimbursing 25 percent of eligible rehabilitation expenses as tax credits. Those tax credits have stimulated $4.5 billion in private investment since 1997. Although the $1.2 billion in tax credits issued represents revenue not immediately realized by the Commonwealth, much of the $4.5 billion of private investment may not have otherwise occurred, according to a 2018 economic impact study by VCU’s L. Douglas Wilder School of Government and Public Affairs. The VCU study analyzes the Historic Rehabilitation Tax Credit program to better understand its costs and benefits to Virginia, its communities, and its historic buildings. The study shows that Virginia’s return in investment, represented by tax credits, is repaid in five to nine years. Here’s the full 94-page report. No time for that? Read the Executive Summary (4 pgs) or this Illustrated Summary. generated $3.50 for every $1 invested through the first three years. 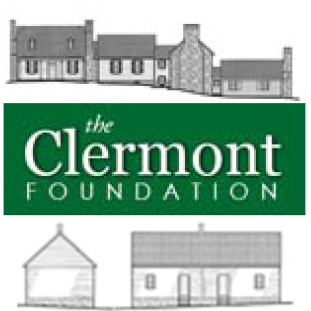 The study can be found here on the Preservation Virginia website.